Reduce pressure in your feet and ankles with an adjustable leg rest with castors. 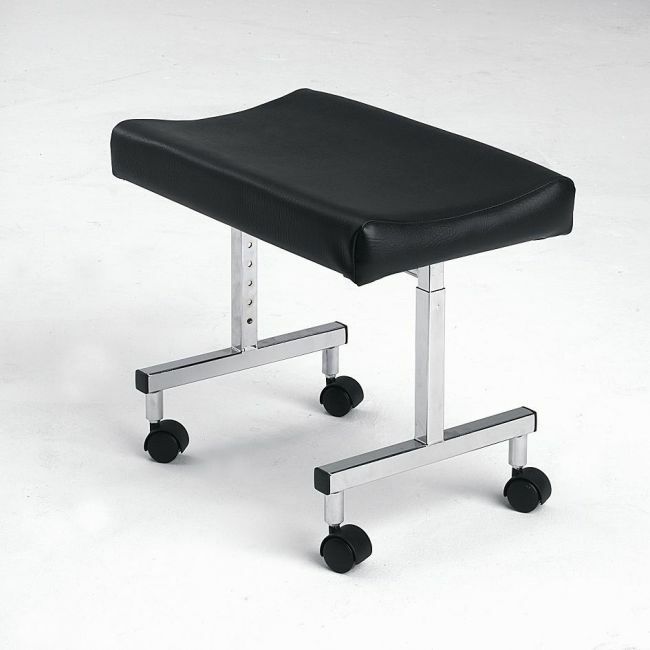 The adjustable height leg rest is a simple yet convenient way to ensure comfort and support on the leg from a seated position. Contoured to fit the natural curve of the leg, the padded cushion is flame retardant and easy to wipe clean.